Of course, this move has to make the top of my list! I adore this version of Pride and Prejudice - and it's an experience to watch the entire thing! To be honest, I also love the more recent adaptation, even though it doesn't really follow the book or capture its magic. 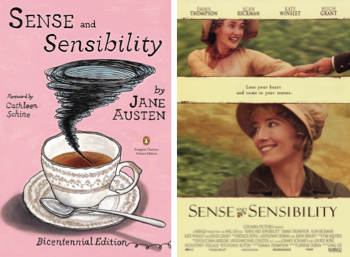 This is my other favorite Austen adaptation! Although it's not entirely faithful (Elinor is older in the movie than the book), I still love watching this version of one of my favorite books. Plus, Hugh Grant and Alan Rickman are always a win. I actually really disliked this book because it seemed so boring and slow, but I adore the movie. I love the costumes, cinematography and score... All so gorgeous! This is one of the most depressing books in the world - so many bad things happen to Tess! I love this mini-series because it gave me a deeper appreciation for the book and made me want to re-read it. I can't watch this movie without tearing up. The later movies didn't follow the books as closely, but I honestly love them all. However, the first book is such a classic and a great representation of these beloved books! Adore this book and this movie! I hate Emma Stone's wig, but everything else is just perfection. The actors are just incredibly moving, and I can't get enough of the amazingness. OH MY GOSH - THIS MOVIE. It's so understated and lovely! I have watched it so many times, and I love it even more with every viewing. 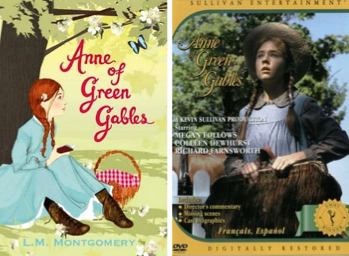 There's just something about this adaptation - a favorite, for sure! This is such a fun version of this classic tale of four sisters! 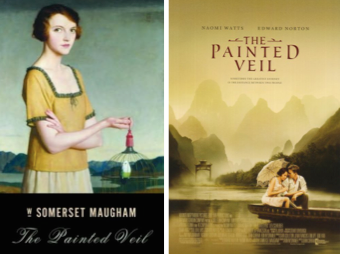 While it's not as wonderful as the book, it's definitely deserving of a spot on my list of favorite book-to-movie adaptations. Like almost every movie on this list, the book is still better than the movie... BUT I adore this movie! It stands on its own as more recent favorite and something I'll watch again and again. Let's not even talk about how much this movie makes me cry. I want a daughter just so we can read this book and then watch the movie together... and Anne of Green Gables. Just saying. I love A Little Princess!!! The movie; I haven't read the book. But I adore that movie! Thanks for the kind words about my layout! 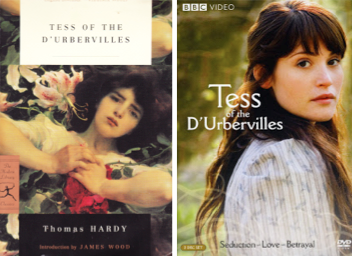 I didn't know there was a Tess of the D'Urbervilles movie! I'm going to add that to my Netflix ASAP. Also, I used to watch A Little Princess over and over as a kid. I loved that movie. What little girl didn't want to be a princess? I ADORE A Little Princess! I still remembering when my sister and I got the VHS as a present as kids. It came with a little locket that looked like the one Sarah's dad gives her. :) Such a good movie and so, so sad. I die when Sara walks across the board to the neighbor's house and finds her father. When she whispers "Papa" and then starts screaming it . . . SO good. I do like the book too, but the movie is more magical to me. P.S. I really love the site's new design! THAT IS EXACTLY THE SCENE THAT MAKES ME CRY - EVERY. SINGLE. TIME. When she's screaming his name and trying to get him to recognize her, oh my gosh. Tears. Always and forever. Thanks for the kind words about the new look! I agree on The Help! 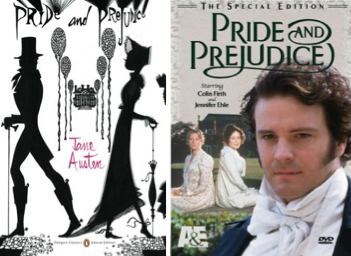 It was faithful and made the book come even more alive in my mind :) And you can't go wrong on Pride & Prejudice, for sure! I watched the movie a ton too! I hope you love the book when you read it. And yes, the movie is definitely different from the book but I just love it so so so much. 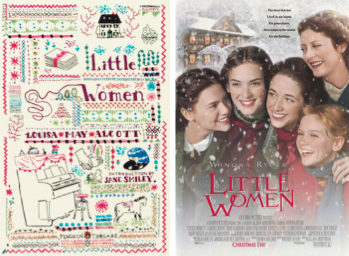 I had a few of these on my list as well, but one of your choices that I love but didn't include on my own is A Little Princess! So sweet! Yay for sharing some on our lists! I need to read and watch most of the titles on your list. The Hunger Games however, is a classic adaptation and I so cannot wait for Catching Fire to come out. Oh I SO cannot wait for Catching Fire to come out! Seriously, so excited! So many of these I need to read. I actually thought the film was sexier. The book is a little slower pacing-wise, so I wasn't swept away reading it like I was when I watched the movie. 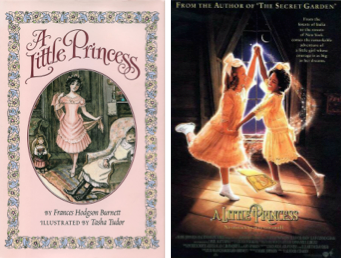 It makes me so, so happy that A LITTLE PRINCESS is on this list, as it is one of my all-time favorite movies! It was such a magical story to me as a child, both in terms of the book and movie, and I think the combination is an excellent one. I too look forward to the day I can share that experience with my daughter! Can you believe I haven't watched the movie? I'm afraid I won't love it as much as the book. ANNE AND GILBERT FOREVER. 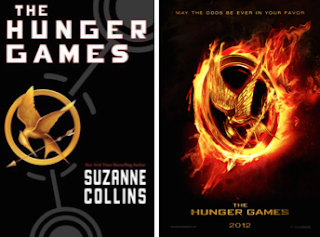 I love the books and the movies and the books and the movies. And A Little Princess! I tried to take Layla and Greta to a screening of that a few years ago during the summer movies here in Greenville, but they were much less impressed than I was. BOO TO THEM. But they were younger then. They might appreciate it now. Oh, and the one where I said "Can you believe I haven't watched the movie?" 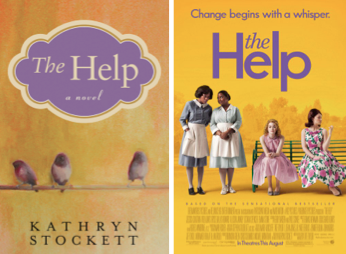 --> That's The Help. I loved that book SO MUCH and it was MY FAMILY so much (I know, I know) and I'm just afraid. 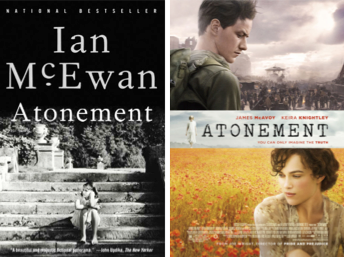 I actually didn't love Atonement as a book (but watched the movie first so I kept comparing to that and I loved the movie). I'm thinking I need to reread the book soon. ANNE AND GILBERT FOR LIFE. WATCH ITTTTTT. The book is obviously better but the movie is excellent. Viola Davis, Octavia Spencer and Jessica Chastain are just INCREDIBLE. Emma Stone is also great but her wig is terrible so just forgive that aspect!